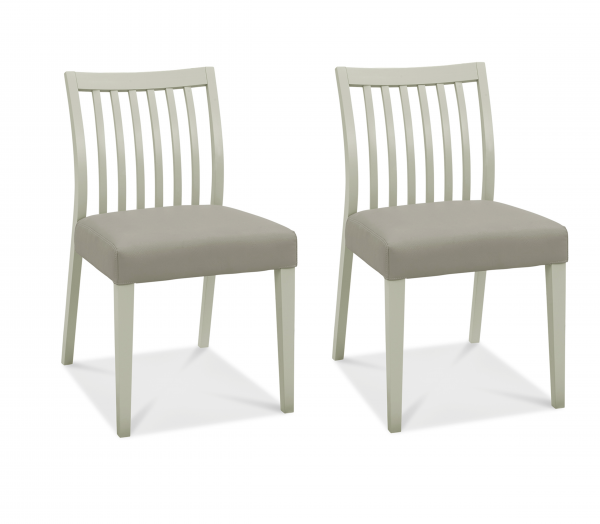 Pairing with the Brooke Expanding tables, this slat back chairs are a beautiful addition to your home. This chair has a soft grey frame with a faux leather seat. Includes 2 chairs.